Two bumbling store clerks inadvertently erase the footage from all of the tapes in their video rental store. In order to keep the business running, they re-shoot every film with their own camera, with a budget of zero dollars. 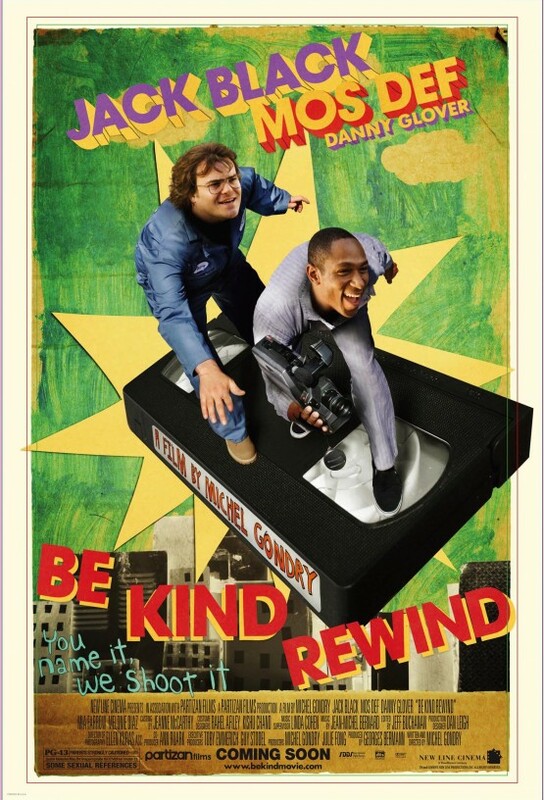 Be Kind Rewind is the name of a quaint, little video store that carries VHS titles only because the owner can't afford to upgrade to DVD films. 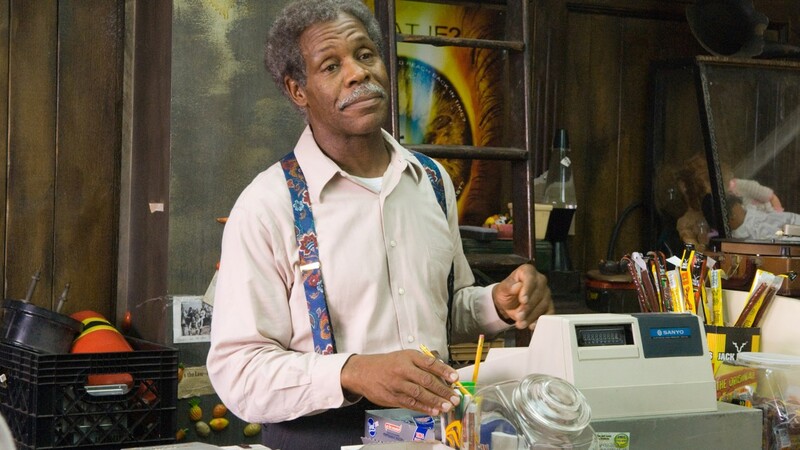 It's a small shop set in the middle of a crumbling, poverty stricken neighborhood, made up mostly of minorities. Jerry, a junkyard worker who magnetizes his brain while trying to sabotage a power plant that he thinks is responsible for his constant headaches. Mike, his best friend, is the only employee of the video store. The store's owner goes on 'vacation' (to spy on a huge franchise video chain), leaving Mike in charge with strict instructions not to let Jerry inside. Of course, Jerry gets in anyway and manages to magnetize all of the VHS movies and wipe them clean. Soon Mike and Jerry are shooting their own versions of classic films like Ghostbusters and the Rush Hour movies with a camcorder, laughably bad special effects and using neighborhood folks in small roles. Unexpectedly, their movie versions - which are referred to as sweded because Jerry charges 20 bucks to rent a movie, claiming that they are Swedish Imports - become so popular that the small store facing foreclosure is actually making money. They begin taking custom orders for movies and end up filming sweded versions. Soon, they attract the attention of the Feds, who inform them they are breaking the law (of course) and that they must cease and desist. What will they do to save the store now? They make an original film about the history of the city and about a 'famous' musician who was born and raised there. They charge admission and the whole neighborhood comes out to see the film, making them a small profit that still won't save the place from demolition. But a tough, city councilman has a change of heart, in the end after seeing the outpouring of neighborhood support.